It’s Sunday, which means it’s time for a new edition of the WHV! GOU #2 has made what will probably be the most significant contribution to this week’s edition. I am happy that it’s in the form of an art piece, although I am slowly also growing quite excited at the prospect of one of my GOUs popping up here one day with an acerbic comment. 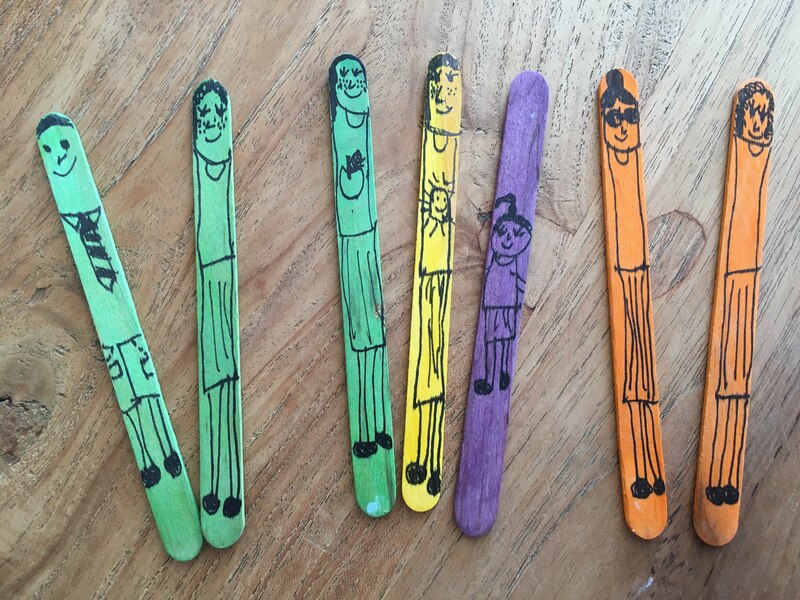 Our family through the eyes and hands of GOU#2 (age 7), also known as My Most Favourite Middle Child. It was one of those really high intensity work weeks. This is probably because a deadline is approaching at high speed. We are in good shape, but we wil have to work with an even slightly higher intensity in the coming week and a bit to deliver. Day Zero has been pushed out further to mid May, due to the generous contributions by farmers of the Groenland Water Association, and due to new calculations based on agricultural use tapering off slightly in the coming months. This has had a very welcome positive effect on our stress level. We continue with our household water saving efforts. On Friday, we were surprised by about 15mm of rain. Our various rain harvesting systems did an excellent job at further bolstering our emergency supplies. Last year in July, magical elves starting digging up my neighbourhood to install green trunking everywhere. As you all know, green trunking is for optic fibre. Anyways, “fast” forward 7 months, and the online fibre coverage map finally turned dark purple over my house. As you also all know, dark purple means my house can be hooked up to the giant net of laser conducting fibres encircling the whole earth. 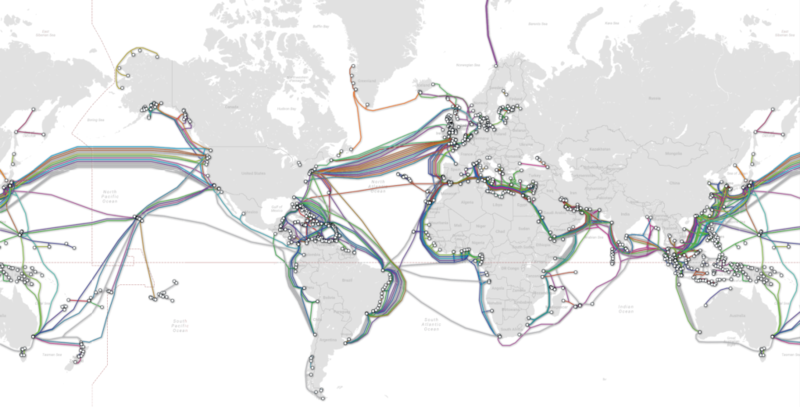 Whilst the jocks never got any further than reminiscing monosyllabically about how awesome they were in high school 25 years ago, the nerds were busy wrapping our whole planet in a net of optic fibres to send exabytes of information everywhere at light speed. On Saturday a gentleman from the telco was here to hook me up. I was understandably vibrating with excitement. Unfortunately it turned out that this specific gentleman was sent too early. He had come to hook my house up to the fibre which by then should already have been pulled into the building from the termination point on the street outside. Anyways, he promised to arrange for the extending-fibre-from-street-into-house lady or gentleman to swing by, before he himself would come back again to wrap the whole business up. I guess that when you work with things moving at the speed of light, time travelling faux pas are bound to happen. Speaking of nerds, I have finally found a multi-tool that is small enough to disappear into one of my pockets, yet enables me to make myself more useful at least once a day. 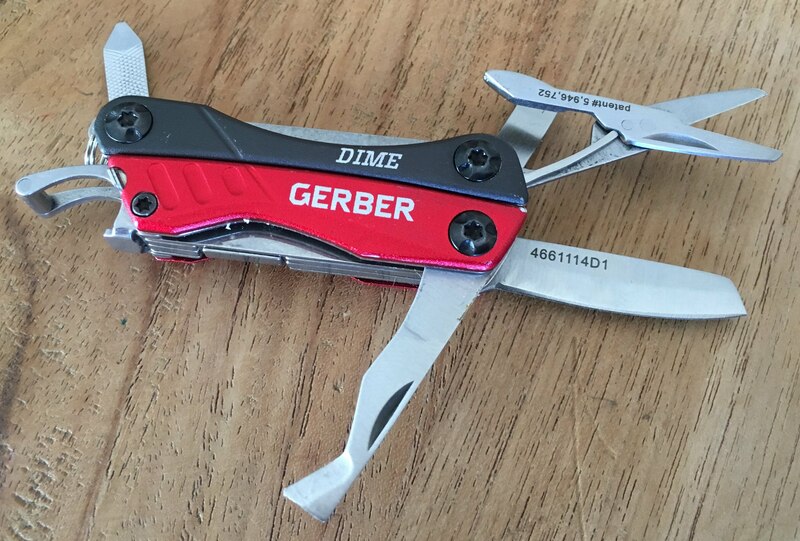 After a long search (I’ve been walking around with a pen-sized screwdriver with 4 interchangeable bits in my pocket for the past time) I settled on the Gerber Dime. They say the best camera is the one you have with you. The same goes for tools. My Leatherman Wave, recently replaced under the 25 year Leatherman guarantee with a Wave 2 because they didn’t have Wave parts anymore, is a brilliant tool, but it’s bulky and so it usually sits at the bottom of my back-pack, until I run into a problem which requires its steely persuasion. In contrast, I can have the Gerber Dime out and pulling teeth, Ron Swanson-style, in a few seconds. 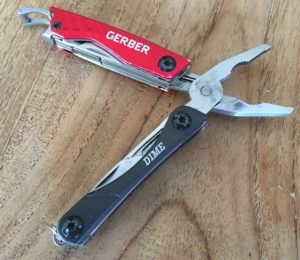 The bottle opener is best in class, the blade is sharp, and the package opening blade makes short work of those irritating blister packs. I have not yet been able to test more extensively the pliers, the scissors, the screw-drivers and the tweezers, but the mere fact that this is the tool I always have with me means they will probably win the suburban leg of this contest. One day, when I care even less about what strangers think, I am planning to start wearing a tool belt. Tool belts don’t have the best reputation, especially in sartorial circles, but they are amazing. To me this is an echo, or perhaps a specific case, of reason over emotion. Feels are certainly important, but if we are to advance as a society, rationality has to win. Ok kids, I am about to push an unexpected side-project into production tonight. I wish you increased utility, and an exceptionally deliberate experience of life, at least until we see each other again! < Weekly Head Voices #132: Potato deadline. Related posts: 🌤 Weekly Head Voices #130: TTAGGG. 🌤 Weekly Head Voices #128: Water water everywhere, but not a drop to drink. 🌤 Weekly Head Voices #125: Buddy.